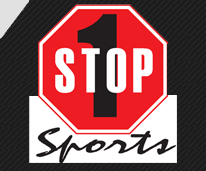 1 Stop Sports Game Card only. Designed for all Baseball & Softball umpires. NEW!! Perfect to use with your lineups. Comes with two pieces of lead and eraser. Comes with a 1 Stop Sports reusable game card to help you keep up with conferences, ejections, etc. Also comes with folder to keep your lineup card in. Two items, one cool price!! Lightweight, fits in your pocket. One of the best & lightest plate shoes on the market!! Lightweight and also available in 2E width for umpires with wider feet. Wear it and feel the difference!! Black, Plastic Indicator(4 wheel) call order. Optic yellow. Balls on left side. Strikes on right side. Count sequence on balls is 0,1,2,3. Count sequence on strikes is 0,1,2. Outs 0,1,2. Innings Dial. Strikes on left side, balls on right side. Count sequence on strikes is 0,1,2,3. Count sequence on balls is 0,1,2,3,4. Outs is 0,1,2,3. Innings dial. NEW LOGO for 2017-2018 season and beyond. Specifically embroidered for ACCC baseball umpires. Comes with ACCC embroidery. Available in black only. Fitted sizes 6 3/4-8. NEW LOGO for 2017-2018 season and beyond !! Specifically embroidered for ACCC Baseball umpires. Comes with ACCC embroidery. Black only!! Fitted sizes 6 3/4-8. NEW!! Approved by AHSAA. Made by Smitty. 100% polyester. Proudly MADE in the U.S.A. Cool & Lightweight. NEW!! Approved by AHSAA. Made by Smitty. 100% polyester. Proudly MADE in the U.S.A. Cool & Lightweight. Sizes S-4XL. FOR AHSAA, FHSAA, GHSA, LHSOA, & MHSAA baseball or softball UMPIRES ONLY!! Retail Value 160.00. You SAVE $10.00!! NEW!! Hat appproved by the AHSAA for the 2018 season and beyond. Navy blue. Embroidered with new AHSAA star logo. Choose from either Wool Blend or Pro-Mesh fabric. Hats meet specifications mandated by AHSAA. NEW!! Hat appproved by the AHSAA for the 2018 season. Navy blue Embroidered with new AHSAA star logo. Comes in Pulse performance only with moisture wicking and temperature control. This package is for AHSAA, MHSAA, GHSA, & LHSOA Baseball or Softball umpires only. SAVE MONEY!! Make it a COMBO!! This is one of the three NEW AHSAA Jackets approved for all sports for 2018 and beyond. Meets AHSAA baseball uniform requirements. Comes embroidered with the new AHSAA star logo on left chest. Sizes S-4XL. Keep home plate nice and clean! !